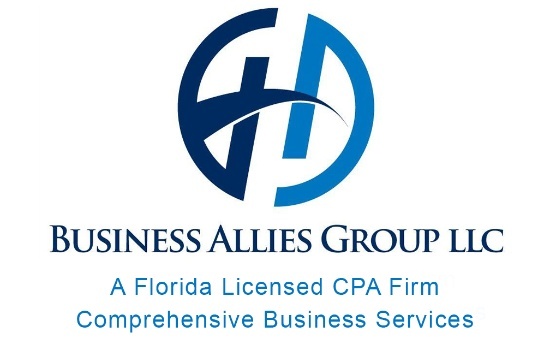 We are a Florida licensed CPA firm with over 50 years of experience as business efficiency experts, specializing in Certified Business Valuation, accounting, payroll, personal and business income taxes. We have systematic process of identifying, measuring and communicating financial information to our clients revealing profit and losses for a given period. By examining statements we ensure accuracy and compliance with laws and ultimately improve businesses efficiency and maximize profits. By preparing and analyzing financial records we make sure that records are accurate and taxes are paid properly and on time, utilizing tax laws to minimize your tax burden. Through detailed analysis we can suggest ways to reduce costs, enhance revenues and improve profit. As a business owner you want relief from administrative burdens that rob your valuable time and steal your focus from your success. Our blend of payroll & HR solutions are tailored to fit your specific business needs. Creating a detailed business analysis involves outlining problems, opportunities and facilitating solutions to solve both current and future problems. This is crucial to maximize any businesses cash flow and reduce expenses. Our services free business owners from administrative burdens allowing them to concentrate on what they are in business to do.